NEED TO CONNECT WITH BROKERS TO ACCELERATE YOUR GROWTH? Position your company with the industry's leading and emerging brokers. Your sponsorship of the AACFB provides a unique and valuable way to showcase your product or service. Aligning your brand with AACFB maximizes your reach within the industry and provides exclusive access to an engaged broker community. AACFB is the exclusive professional home for brokers and gives you immediate access to over 300 broker-member companies. Only the best & brightest brokers pass AACFB ' s rigorous application process. AACFB's members include more than 83 individual CLFP members and 24 members with the exclusive Best Practices Broker™ designation. 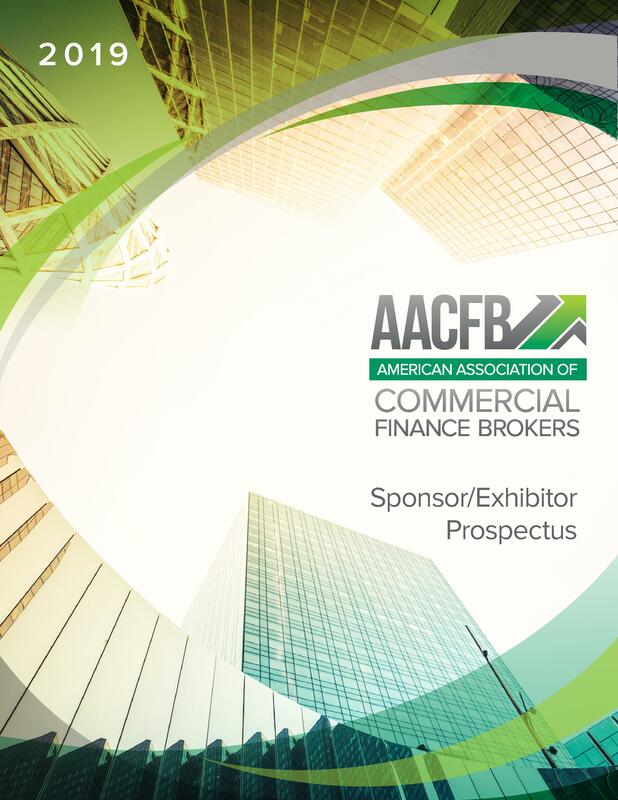 Expand your reach through a network of AACFB Broker Members located throughout the US and Canada. AACFB sponsorship provides the best benefits in the industry. Don't miss out on this opportunity! Have you wanted to get recognition for your company on the AACFB website and event emails but didn’t have the budget for an annual sponsorship? Well, here is your chance to get year-long exposure that fits your budget. Virtual Sponsors will have their logo and link on the AACFB sponsor web page for one year and have their company name and a link on all AACFB event emails for the year. (Year-long listing) Exclusive pricing for SILVER SPONSORS! Advertise on the AACFB’s weekly broadcast emails sent to AACFB current and prospective members.Advertise on the AACFB’s online community posts, which go to AACFB members almost every day. (Year-long listing) Exclusive pricing for GOLD SPONSORS! Advertise on the AACFB’s online community posts, which go to AACFB members almost every day. Get a shout out on AACFB social media channels (Facebook, LinkedIn, Instagram and Twitter). For one low price, AACFB will post three times about your company on the association’s social media channels. Come on and get social! Be the center of attention at the opening reception! Get recognition on the event web page, conference materials and signage. Your company logo will be printed on reception napkins and drink tickets. This allows you the ability to have your company’s information or promotional item placed in each attendee’s room after a day of conference. (Sponsor is responsible for all costs associated with producing materials and all material must be pre-approved). Exclusively for both GOLD and SILVER SPONSORS! Advertise on AACFB’s weekly broadcast emails sent to current and prospective members. This provides the ability to place your company’s information or promotional item in each attendee’s conference bag. (Sponsor is responsible for all costs associated with producing materials and all material must be pre-approved). Exclusively for Gold and Silver Sponsors! Dedicated workshop slot at the AACFB Annual Conference on Thursday, May 2, 2019. Get in front of conference attendees by sponsoring a breakout session. Your company logo will appear in the conference program, event web page and session signage. Sponsor will introduce the presenter(s) of the session and may distribute company promotional materials to session attendees. This allows you the ability to have your company’s information or promotional item placed in each attendee’s room. (Sponsor is responsible for all costs associated with producing materials and all material must be pre-approved). Exclusively for both GOLD and SILVER SPONSORS! Advertise on the AACFB’s weekly broadcast emails sent to current and prospective members.